I’m back Where to go now oh and a few new books !! I am returning to reviewing tomorrow after nearly three weeks away, I’m rested up but also thinking of what my blog means to me. It has open so many doors over the years that I wouldn’t have opened without this blog. I have met so many people. That I had in a way become lazy about what I wanted and that is to make this the place for translated fiction and this means I have to maybe be more critical when I am reviewing books. I was listening to an open book about Literary criticism . It made me think yes I love Translated fiction and in a way, for many years I have been the cheerleader for this cause. But after nearly 800 books I feel I need to guide and let people know more of what I think of books I had started this in small ways recently with a Llosa review that I was a little less cheerleader and more objective as I felt readers be better with other books by him to read first! I view this blog and my position as a gatekeeper of translated books but also translators and the publishers the whole team that gets the books out there. I have my own goals for the blog the first is the 1000 review mark.Also, the 100 German books mark to reach and of course the hunt for new countries and publishers is an ongoing quest. For me this is my hobby and passion a way to get cnnect to fellow lovers of translated fiction and spreading the love for world literature. I hope to spread the love but also be a beacon to the new readers by guiding them to what to read. I needed a break after nine years just put the blog in standby and stick the charger on well it charged quicker than expect and with an Epic autumn due of long books. Including the Jan Brandt Against the world a novel that references german from the 70’s to the present day. I got today. Which arrived with French Poets Philippe Jacottet Obscurity his only novel. Tip Marugg a Curacao writer a book that sees a man watching the day dawning and uses a magic realism style. Werner Kofer an Austrian writer compared to Bernhard for his use of Satire. Noemi Jaffe memoir follows the journey she took with her daughter to Auschwitz following in her mother footsteps. Well, this is a great day for the blog it sees the 800th review and this book seems fitting all the time I have run the blog. I have run shadow juries connected to translation prizes. So for this to be the first in my new shadow EBRD prize jury is a real treat. Alawiya Sobh studied English and Arabic literature at university and has been writing since the early 1980’s and was editor of a leading woman’s magazine. This book won the sultan’s prizes in 2006 four years after it came out, her other novel was also longlisted for the Arabic Booker prize. Before the war ended, Alawiyya did come sporadically. Somwtimes, she would be gone for days, weeks or months, but in the end she would return to knock on my door. I rarely left the flat. Often, I would only only go to the firm to collect my slary at the end of each month, since regular attendance wan not enforced. Particularly during the early years if the war when the fighting was at its worst, I spent most of my time at home in my room, unless I had arranged to meet Abbas. Ibtisam and Alawiyya, for their part, went to the fronts and disappeared for days. they wandered off like a sheep and grazed in the war meadow only to be brought back to my little stable where they regurgitated their tales. Maryam talks of her friend and them going to,the front, I loved this image. Maryam is a Lebanese woman, she is in Beruit.But she is just found out she is going to leave and go to live in Canada away from the war. She is worrying that the stories she has told her friend the writer Alawiya haven’t been used by her. Even thou she promised. So we see Maryam recounting the tales she had told her friend. She worries about why ALwiya hasn’t asked for more of her stories.So we see Maryam struggle as the war raged on but also times before a place that is now lost.Then we also see her parents yes her mother is a bit of a character there is some great interaction between and the father who the mother has just in the place she wants him. Like the tales of her various aunts like the slow one. 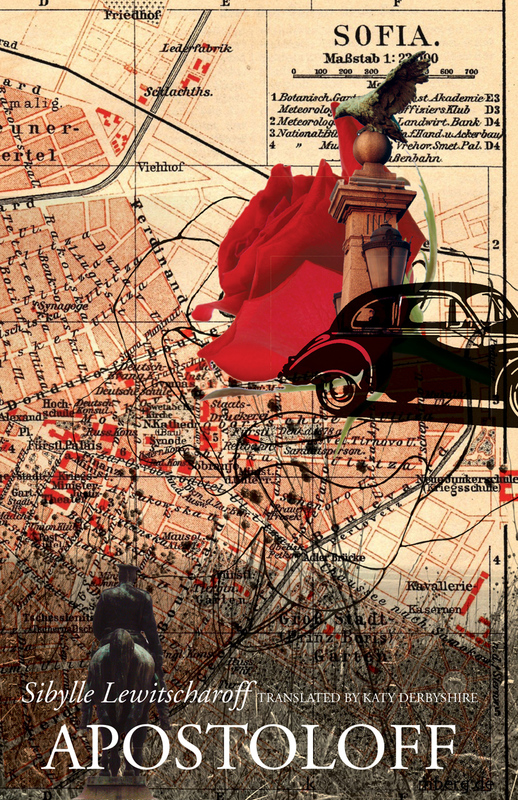 Then we see the wider picture of the city and the conflict, which for me at the time was bewildering and complexed. My sister prepared to carry out Mother’s orders and stood guard over the brad for fear of puinishment,But my older brother Ahmad slipped by her, stole some loaves and escaped down the valley to eat them there. My sister ran after him, but he was faster and soon disappeared from her sight. He devoured the loaves in the orchard while, bacj at the house, fear devoured my sister. When Mother returned and heard about my brother’s “big Belly”, she broke into a rage and ran after my sister to thrash her. The mother was feared and made the daughters hold the line . 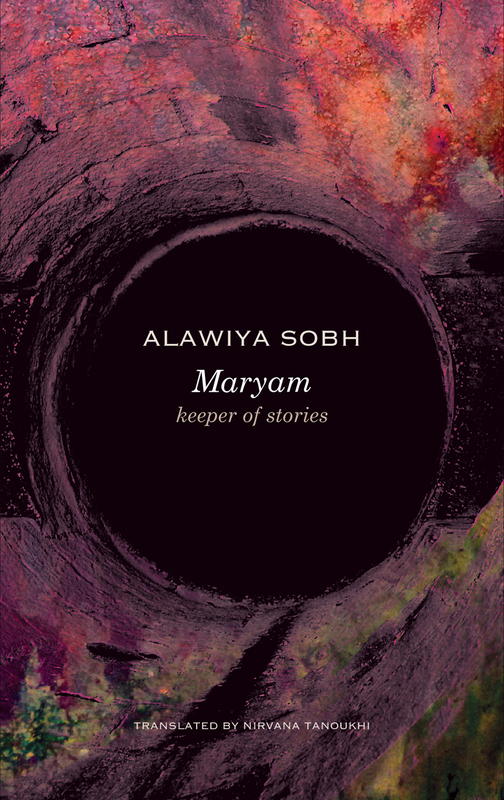 This book has an interesting take on Maryam narrating, but a writer called Alawiya in their lives that had promised to tell the story. There is a feeling is this Maryam or is Alawiya being Maryam? It is good to see a female voice on the Lebanon war, I have read a couple of books from the male perspective. It was great to see the bonds between mothers daughters and friends keep their spirits up in the darkest times. A family saga set during a dark time shows how the family pulls us through the darkest times and also the humour we find within families even in the dark days of the war there is still humour here. I wouldn’t have read this without it being on the EBRD literature prize shortlist so I am pleased it was on the list. I had a novel from Hans Magnus on my TBR pile, I vaguely remembered his name from when I lived in Germany in the early 1990’s. He is one of the most well regarded German man of letters. He is a poet, Championing Journalist, Translator and has been the editor of thGermanan book series Die Andere Bibliothek a sort of German version the Folio society. So as I say this caught my eye as it is a collection of pieces, he wrote in the sixties a time when he travelled the world at various conferences on literature. That is the only part of his speech where you feel itmeans something to him personally. After a pause he abandons himself once more to his meandering associations, talks about anything andeverything in a way that sounds almost muddled and gossipy. Later on , a couple of fairly senior officals tell me they are very concerned about his garrulousness. The bos they say is incapble of keeping a secret to himself especially when it’s a case of real or presumed success. Kruschev was removed a year after this as leader. The first piece of the four long prose pieces that he wrote in the sixties. This first piece is a trip to Russia at the height of the cold war when Kruschev was the leader a man seen as one that could heal the wounds. He was a guest of the Soviet authorities.The first part is the time he spent with all the other writers.Later in the trip, he was the Lone German writer to be invited to spend time with the leader at his holiday home.Was he observes how the leader interacts with people? At a later conference, he would meet his with a relative of a Soviet writer.This meeting is recounted in his diary entries of the time. The later piece deal with a later trip to Cuba and again meeting fellow writers. The pieces I enjoyed is were he looked back on the people he meets and said what had happened to them. This is a time when writers were still considered kings among men and their words are important. Yvegeny Yevtushenko’s also there. He’s the star of the congress. Surrounded by photographers. For Soviet conditions there’s something of Hollywood about his appearence. To my surprise, he immediately recalls our meeting in Leningrad. He even remembers our rock and roll evening outside the offical programmes. A poet as a hero and he was one of the voice to fise under Kruschev thaw . This also echos Urgesic view of the writer in the Soviet era. He meets a lot of the most well-known writers of the time. I was reminded of the words of the Croat writer Dubravka Urgesic in her book Thank you for not reading. About how the Soviet era put writers on a pedestal. a time now passed. He observes how a man that was on the verge of sending the world into Madness Kruschev was as a real person as he observed him.We see the world through Hans Magnus eyes but actually, learn very little of the man himself other than his views of the times he lived in the years before the Cuban missile crisis, the Paris riots. The writers he meet like Nelly Sachs whom he was the executor of her will. (a writer mentioned in Mireille Gansal memoir she translated her.) This is one for all world lit fans with an eye to history and a love of German Lit. I was sent a German edition of one of Sibylle other books.When it was on the German book prize list, I only got a few pages in before hold my hands up and admit it was maybe too much for me. Since then I have wanted to try that book, Blumenberg. But when I saw this at a price I could afford I went for this first.Is one of the most successful German writers of recent years. Born to a Bulgarian doctor and German woman.She grew up a socialist. Spent time in France and Argentina. She is known for being outspoken at times. Alexander Ivailo Tabakoff married a woman with Hollywood qualties, a cross between Marylin Monroe and the alleged murderess Vera Bruhne, albeit with the flaw of a broad Swabian accent,marking her out for those in the know as a child of East Stuttgart. This origin, and the thick ankles from which she suffered all her life, prevented Lilo Wehrle from trying her luck in Hollywood.Instead she married a very promising Bulgarian and gave birth to his son. We can barely remember that sone,Only that he died of meningitis at the age of six.There were nasty rumours that he had died of exhaustion because his parents, ragingly in love with him and raginly ambitous, had sucked the very life out of him, The subsquent birth was an unfortunate one, at any rat,and did not make up for the damage – a daughter . A son was first then the two sisters maybe explains there relationships to there father. Now, this is a simple story on the surface a pair of sisters are returning to there fathers homeland Bulgaria in a convoy of cars with their father’s body as he had chosen to be frozen back in his homeland. The sisters are being driven by Rumen Apostoloff. The two sisters are very different One is polite well spoken older sister.The younger sister is outspoken and caustic at times. This is a tale of two sisters remembering their father who took his own life at a young age. The book is about fathers, visiting the homeland that they don’t really k part coming of age and also has a lot of dark humour in it now.AS the driver tries to open there eyes that only see the grey dark side of the country and its post-soviet world. A story of a father and his daughters coming home but maybe finding a home. As so often, the bulgarian have constricted a huge theory around a single detail, in this case a complicated murder theory – the king had gone to Berlin in civilian clothing rather than in uniform, wanting to demonstrate at first hand his political tactic of keeping his soldiers out of the war as far as possible, Hitler , they say had received him in a black mood and dismissed him in just as black a mood,that may well be the case but it’s not enough for a murder, And the Bulgarians are all too eager to forget how highly Hitler regarder Boris. A view at anglo Bulgarian german relations in the war and the allaince they had . I can see why I wanted to try her books. She has been on the German book prize list and is described as a writer that is very unique this book mix so many things it is in part travel book, part memoir, part coming of age and comic at times. But the main themes of the book are fatherhood how his living in Germany affected his life. It is worth noting, he was also a doctor like Sibylle’s own father. Then there is Bulgaria as a character in the book.As seen through three peoples eyes the sisters both don’t really get their fathers homeland but their driver draws them in. But even after his funeral. They decided to go with Apolostoff to the Black sea coast. He has spoken so highly about. This is the story of a man Rumen trying to get two sisters to open there eyes to the place they are Bulgaria but maybe also learn more about their father. An intriguing if difficult book another from Seagull books. Well, another book from Seagull books for my second German Lit month selection. 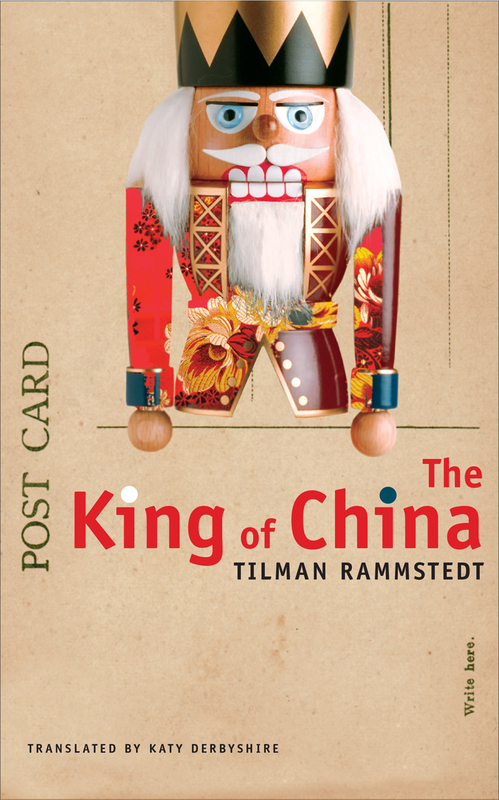 Tillman Rammstedt is the son of a famous Sociologist. He studied Philosophy and literature at a university in German and Scotland. He is part of a group of writers that form the literature group Fön including Michael Ebmeyer and Florian Werner. He lives in Berlin. This book won the Ingeborg Bachmann prize in Germany. We’re staying at the Bamboo Gardens, a cosy and tranquil hotel. The staff aren’t quite as helpful as we’d like but that has partly to do with the culture, Grandfather explained. The rooms are tastefully decorate, Ming fuinture, a small but clean bathroom, abundant foliage outside the window, but grandfather says the typical flair of the city is somewhere restricted by the modern residential block directly opposite. The room costs 680 Yuan, a mid range price as we found when we made a comparison. The first letter reads like the travel guide bar the last words about looking at prices. I was struck by the synopsis of this book when I was choosing a read for German lit month. As there isn’t many comic German novels out there, especially as the English had always a wrong idea that the Germans hadn’t a sense of humour.For me, this was shattered when I lived in Germany and this book is as good as any of the great comic English novelists.The book follows a trip to China by Keith and his grandfather. Now the trip doesn’t actually happen as they are just about to leave the grandfather dies. The trip was the choice of the grandfather from Kieth four siblings as a gift, but when Kieth lose the money he grandfather says to go alone, then passes away. So Keith instead of telling the family hides at home sleeping under his desk and outsight of his window. He also starts to send back postcards and letters to the family. They start of sounding like they are just from the travel guide but as they progress Kieth starts to invent things like a mad channel just showing teeth cleaning. Then there journeys in trains next to fairground arts. Intersped with this is the story of his grandfathers young with Franziska who the young Kieth is in love with her. To my left lies a trapeze artiste, to my right a lady contortinist, both asleep, and I too am actually far too exhausted to write, but so much happened today that I want to tell you about, even though the days are beginning to blur together, even though tey seem like years to me. Another letter when Kieth has let his imagination go wild, rather like Billy liar. Now, this isn’t a travel book it is a book in the tradition of books like Billy Liar about inventing a world or that of Calvino with his Invisible cities. What happens when a white lie runs out of control, When Kieth start to drift off from the travel guide, which when he writes the early letters sound just like he has written from the travel guide when he talks about the history of places and I have a huge life when he described the hotel as mid-price, quickly saying they decide so after seeing other prices. But it seems an odd thing to say. The letters are the imagined world of a young man with his own problems, but a love of his grandfather and even more of his younger grandmother. This would be herald as comic great here, I was reminded of a writer like Dan Rhodes here or more so Magnus Mills where like Mills he uses a situation to create the story. Well, it has finally come round to November and that means one thing here German Lit Month one of the highlights of the blogging year. So when deciding this year’s books I choose to purchase some more books from Seagull books a publisher that has been publishing a lot of cutting-edge German lit. This is the second book I have reviewed by Max Frisch, a few years ago I reviewed one of his best-known works Homo Faber, I had intended to read him again since then so when I read this book it struck me as rather different. Ehrismann, inside the flying Caravelle. Passengers are now allowed to unfasten their seabelts. He does so. But what next? when the stewardess comes by with a stack of newspapers, he asks for a Neue Zurcher Zeitung, then opens it to the obituaries as if turning to the financial or sports ection, searches bfiefly and finds/ a large obituary : Zurich, October 4 1965. Theo Ehrismann, Dipl-ing. Our almighty God has taken…/ His face, while he is reading his obituary./ Then ne stuffs the paper intothe pocket of the seat before him. Max reads about his own life and when his funeral is as he tries to get home . Zurich transit was written by Frisch. The play is an expansion of an incident in the novella he wrote My name be Gantenbein. The story follows Theo Ehrismann a Swiss engineer and former sailor. He had decided to take a sudden trip to London and told no-one. So when his white Porsche is stolen and crash and the thief is burnt beyond recognition. So a natural mistake happens and everyone thing the body is Max himself. He only works out what has happened when he reads his own Obituary in the newspaper. But as he tries to let the family know he isn’t dead, he calls the family home to only be answered by his much-hated brother in law. answers the phone. So he travels back to home but arrives just as the funeral starts but hides in the background and listens to his life, but also looks at the life he has lived. Will he say there has been a mistake? He sees things that may not be there any more. This is the story of one man gathering about his life as he views what happens after he is dead a chance not many of us have to view how we are seen and in Theo case, it is an awakening as he sees that his life hasn’t the meaning he thought it had. This is shown when he decides to buy a ticket out of the country. The play is an expansion of man that appears in an earlier novel. There has been a number of attempts to make this into a film, this lack of the film getting made lead to a documentary about the attempts to make the film in 2011. This is one of those books that h=is hinged on a single moment a car crash than an error that leads to one man’s journey into himself and those around him. Who are we? what are we? and what impression do we leave behind these are al, questions left behind when you read this book. I’m off for a night out later so not time to do a review. So I have chosen to show a few recent arrivals at Winstons towers. Sweet Potato. The first is from new publisher Honford Star. The collection from Kim Tongin is an insight into the first fifty years of the 20th century in Korea a time before its rise in power. Pushin press has a new collection of stories by the mast of the short story Chekov in a new translation from Nicolas Pasternak Slater the nephew of Boris Pasternak. There are thirteen stories in the collection including ones such as a day in the country, The lady with the little dog and the kiss. Now some purchases first is a collection of short stories from Robert Wasler from a few years ago. I have read one of his books but now how well regarded he is as a writer. The book covers most of his life. Then two books by the late Swiss writer Urs Widmer. The first the Blue Soda siphon is an adult fairy tale that follows a man returning to his childhood in the 40s then his younger self, going forward to the 90s and the gulf war. In the congo follows a man that works in a retirement home where his father has just moved in and it follows the discovery his father wasn’t a boring man as he thought he was.The journey takes him to Congo. A trip for a grandfather and grandson to China goes slightly wrong. when then grandfather dies the grandson carries on writing back to family fantastic tales of what they were doing. Then a second book for the tbr pile from German poet Hans Magnus Enzensberger. 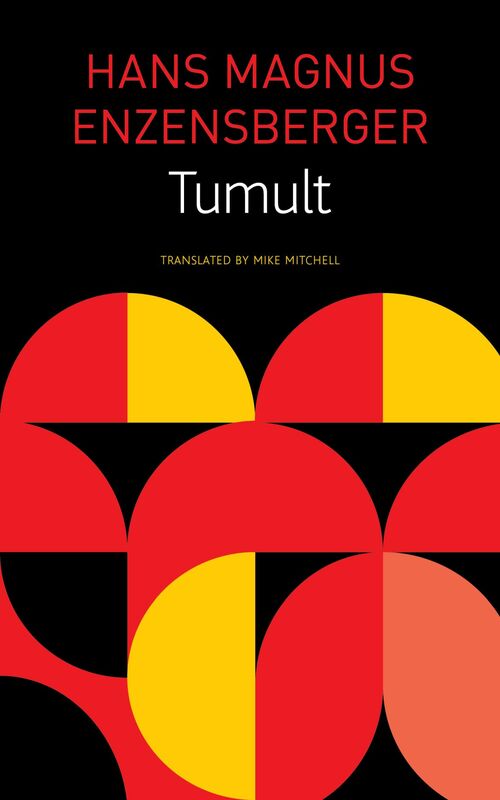 Tumult follows his life and the world from 1963 til 1970 as he was a left winger, spend time in the Soviet Union and Cuba. the last four books are all from Seagull books.